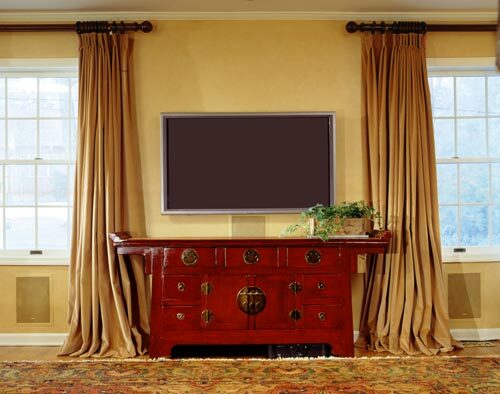 This living room installation includes both a widescreen TV and theater sound system, but only the 50-inch flat-panel display is readily visible. 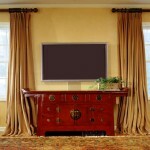 Associated electronics are housed in the Chinese cabinet while grilles covering the surround sound system’s in-wall speakers were painted to make them inconspicuous. As for the subwoofer, it’s positioned in a corner behind a plant.